First off, to be able to create mobile apps with MobiRoller, you need to register on the New user registration section. After filling in the information asked of you in the registration screen you see, you can complete registration by clicking the register button. Then, without waiting for an activation e-mail, you can directly proceed to the control panel where you will create your app. 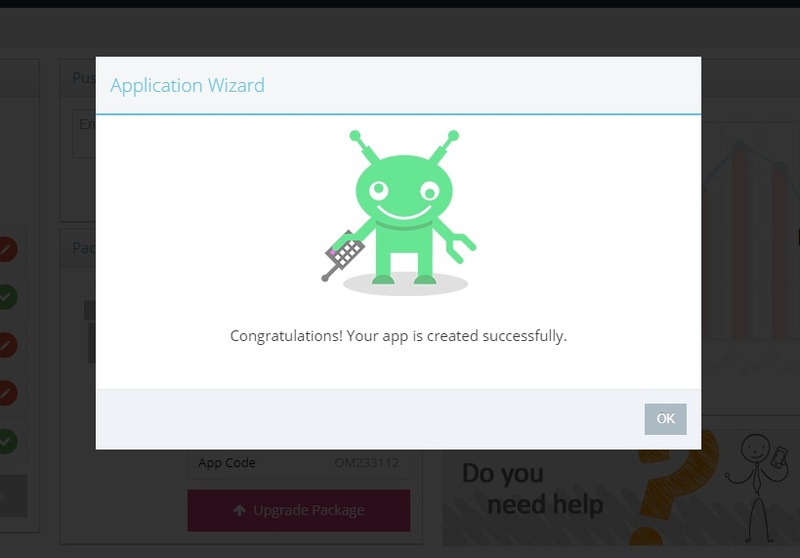 As soon as you are in the control panel, you will be greeted by an App Wizard, which makes things easier for you. The purpose of the App Wizard is to help you with creating your first app easily. 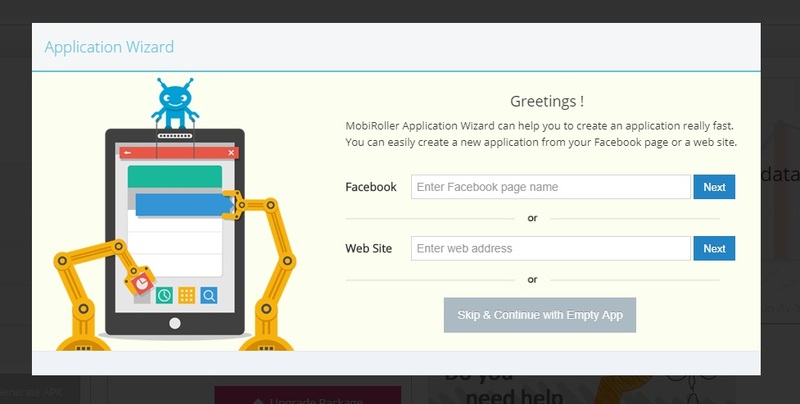 Using the Wizard, you can quickly generate an app from the data you have on your website or Facebook, or you can continue with an app from scratch. All you need to do is to enter the address of the web or Facebook page you want to create an app from, click the relevant “forward” button, and generate your app quickly. For adding your Facebook page, it would be enough to just typing in the name of your page to the related field. The wizard will automatically find your facebook page and present it to you. Then you can proceed with a blank app and create your mobile app yourself. First off, you will need to type in your App Name. Then you can proceed to the next step by clicking the next button. In the next step, you will need to upload the App Logo. 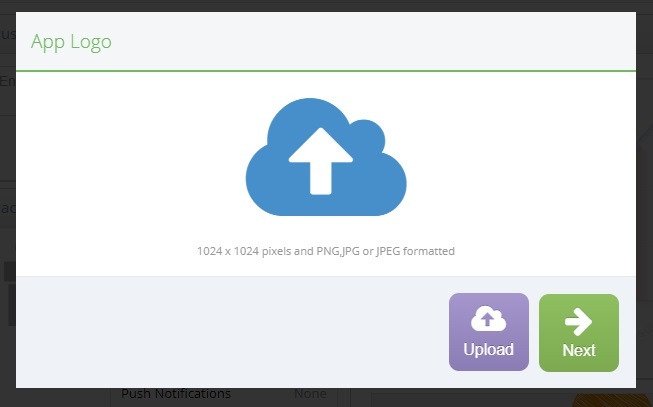 You can choose an image with the upload button, and edit it in 1024×1024 pixels. After uploading your logo, you can click next to go to the next step of Mobile App Design. The purpose of Mobile App Design is to help you with easily creating the design of your first mobile app. The categories you choose does not put any limitations on your app. Categories are meant for you to access desired template designs quickly. 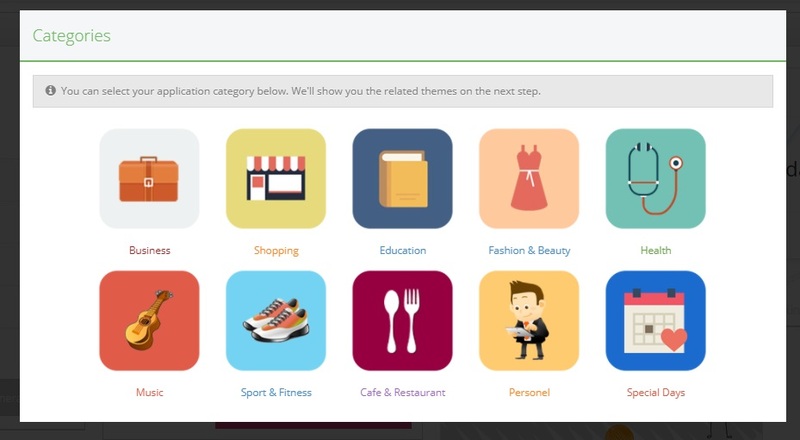 In the category section, you may choose your app’s category, and access the relevant template designs. Templates are designed for your mobile app to have better looks. 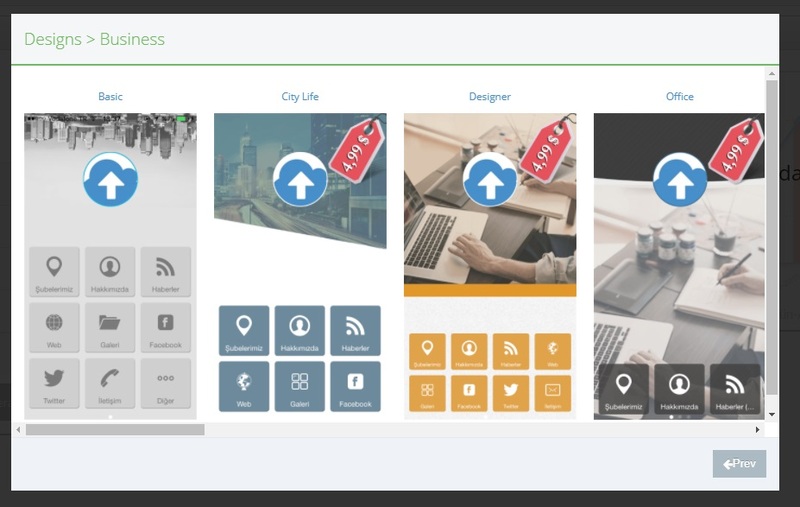 You can review each of the categories, and you can pick any from either of the free or paid designs to proceed with the creation of your app. You may access the prices of the templates on red colored labels on top right corner. 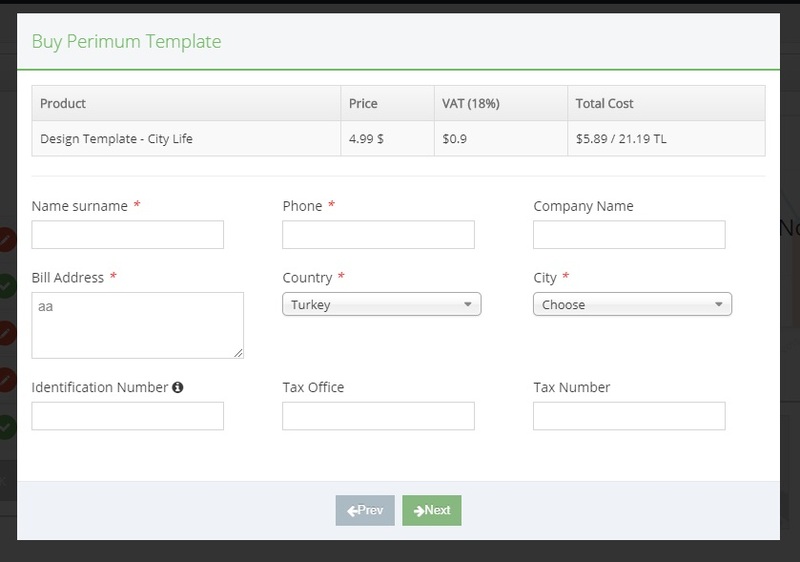 If you choose a paid template, you can purchase it by filling the information into the fields you will see on the purchase screen. Then, you can pick the template you have bought in the templates screen to activate your app. You have now completed the App Wizard and can preview the app with the virtual device at the right side of your panel.